← RePurpose and ReUpholster Chairs by using BELTS! 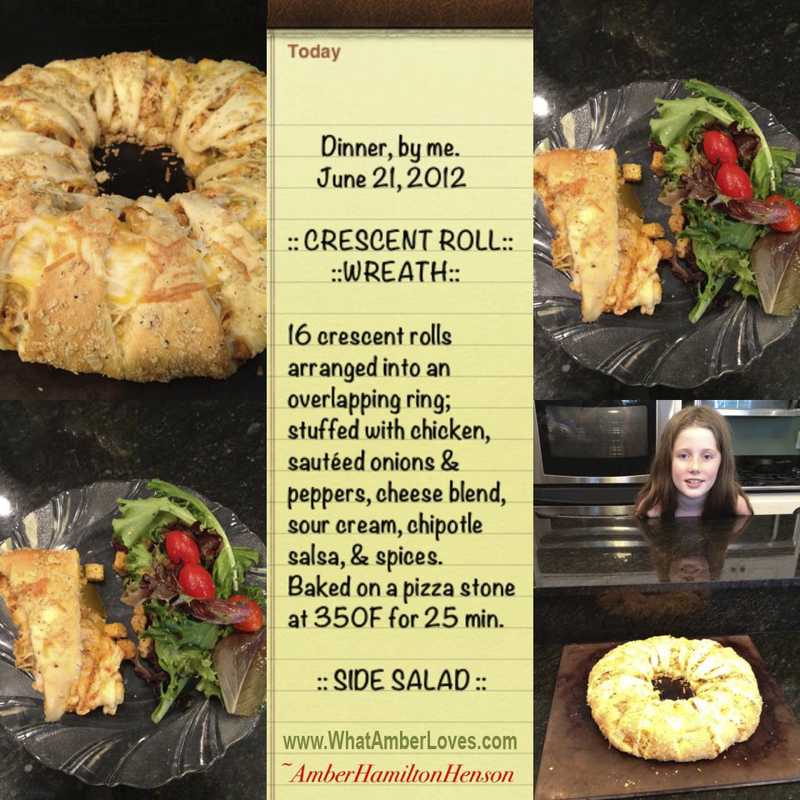 First, I’m going to share one of my favorite things to create for dinner: CRESCENT ROLL WREATH! Second, I’m going to show you another fun little photo editing app for iPhone/iPad users that I use occasionally, named WATERMYPHOTO. 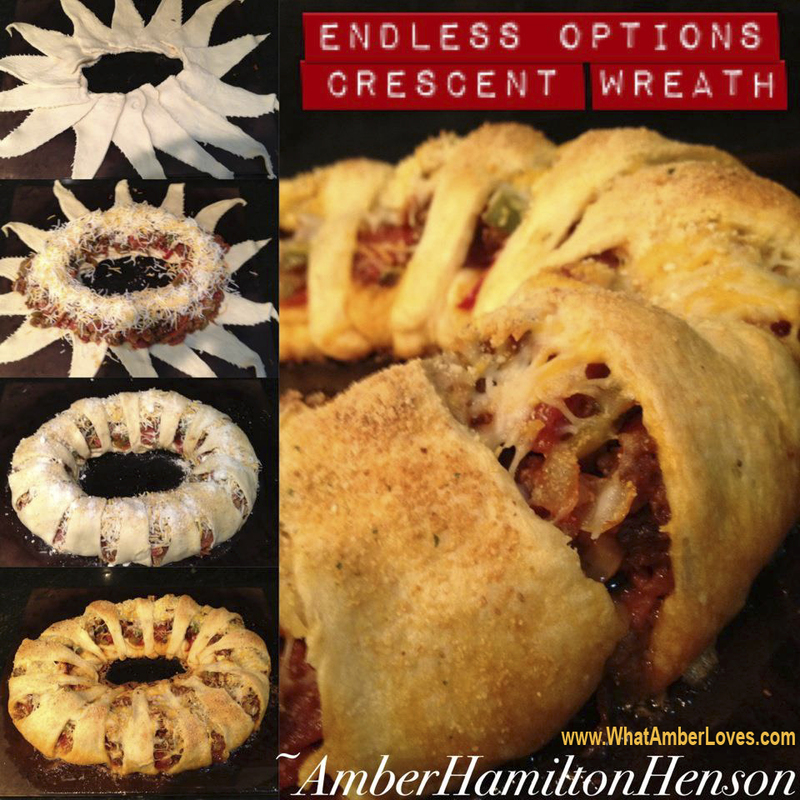 The crescent roll wreaths/rings are great, because they can be stuffed with any of your favorite meats, veggies, and sauces, whatever is seasonal, and any sort of leftovers sitting in your refrigerator. Seriously, the options are endless! You can create breakfast wreaths, dinner wreaths, dessert wreaths, and wreaths for special occasions like bridal showers, baby showers, pot-luck events, and more. I make crescent roll wreathes A LOT. The reason? They’re pretty simple and they look great. Presentation matters. These wreaths are really easy. You decide how big or small you want to make the wreath and use a quantity of crescent roll dough accordingly. I’m feeding a family of 5, so I use two tubes of 8 crescent triangles (16 total.) The “stuffing” includes meats and veggies that have already been cooked and any sort of sauce or cheese to help hold it all together. Use ANYTHING as a stuffing for the wreath. When I lay out the wreath, I put the short sides of the triangles together, making sure that they overlap. I add the ring of stuffing, and then I tuck the tips of the triangles under. I promise, its easy. You can’t go wrong. It goes in the oven at 350F for 25 minutes, primarily to cook the crescent dough. I always bake mine on a pizza stone, but I would guess that it would work fine on a greased cookie sheet, too! *The top photo shows the one that my husband and daughters refer to as the “PIZZA WREATH”. It is stuffed with cooked ground beef, crispy bacon, pepperoni, sautéed onion/peppers/mushrooms, and then is held together with 3/4 jar of Arrabbiatta sauce and a layer of cheese. As a finishing touch, I brushed the crescent dough with butter, sprinkled garlic powder, and a generous dusting of Parmesan cheese. *The wreath in the second photo was stuffed with chicken, onions, peppers, garlic, chipotle salsa, sour cream, and cheese with crumbled corn chips pressed into the crescent dough, for texture. I think adding the crumbled chips onto the dough was important for this wreath. Beyond just adding texture, it really added a salty, corn flavor to the dough, which is otherwise a little sweet! Have Fun Creating Your Own Version! If you have questions or if you want to share a link to one that you make, please feel free use my comment button! As always, feel free to be social by pinning, re-blogging, and more, as long as it is clear that it links back to this page, too! Guess what?! I’VE BEEN FEATURED!!! Posted on July 19, 2012, in Uncategorized. Bookmark the permalink. 11 Comments. I stopped over to visit after you left a comment on my blog, and I didn’t get very far before I had to pin. The crescent wreath should be making a debut on my table soon! This looks amazingly good. Thanks so much for sharing at the All Star Block Party! Your new blog is awesome! We just love Crescent Roll Wreaths, they are just great! Your recipe looks delicious I am sure we would enjoy it. Hope you are having a great summer week end and thank you so much for sharing with Full Plate Thursday. This is genius! I’ve been looking everywhere for a nice main dish item to take to potlucks…and this is SO it. Love that it can be made with whatever is left in the fridge, too! :D. Thanks for linking at be different act normal so I could find you. Love love love it…. check out my blog I’ve featured you this week on it.. 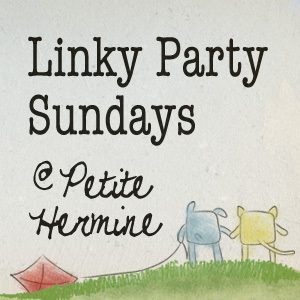 Thanks so much for linking up to the ALL STARS BLOCK PARTY…. I’m your newest follower…. Great job on your new blog…. 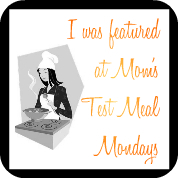 You are tied for the top feature this week at Mom’s Test Meal Mondays!! Thank you so much for sharing this idea! Feel free to come by and grab a button! I make this but fill it with taco meat and cheese and then serve it with sour cream, salsa, and what ever side the kids want…refried beans, corn, salad. I’m going to try the pizza wreath soon.